KiCKASS WiTCH : Putting The "K" In Magick: The Weekly Witch Review #124 : Yule On A Budget, Plants From Outer Space, Dream Incubation & More! The Weekly Witch Review #124 : Yule On A Budget, Plants From Outer Space, Dream Incubation & More! ★ Because magick is magick… Seeing Is Believing. To read what is and what will be. ★ Ancient Egyptians were so far ahead of their time... Defy age using this 3,600-Year-Old Face Cream Recipe. ★ Plants From Outer Space. ★ Dear Witches... If you're so powerful, why aren't you rich? How a Koreatown Street-Corner Puppet Show Became a Religious Experience. ★ Yuletide Ouija & Hex Bombs? Ugly Xmas Sweaters for Satanists? This one's for those of you who do NOT do pink & sparkles.... The Ultimate Darkling Holiday Gift Guide. ★ Can we biologically inherit trauma? Barack Obama’s victories in 2008 and 2012 were dismissed by some of his critics as merely symbolic for African Americans. But there is nothing “mere” about symbols. ★ Why Do Angels Always Say Fear Not? 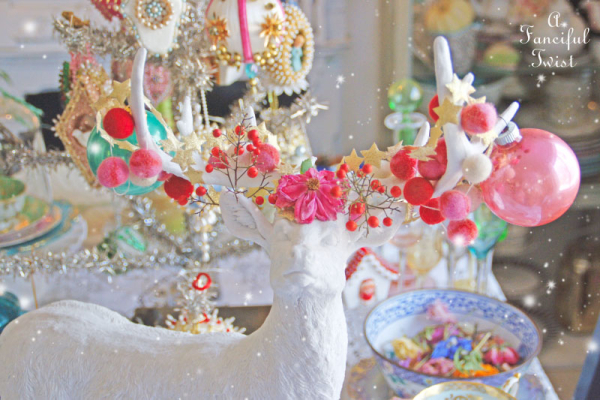 ★ 5 Ways To Celebrate Yule Without Spending A Dime.